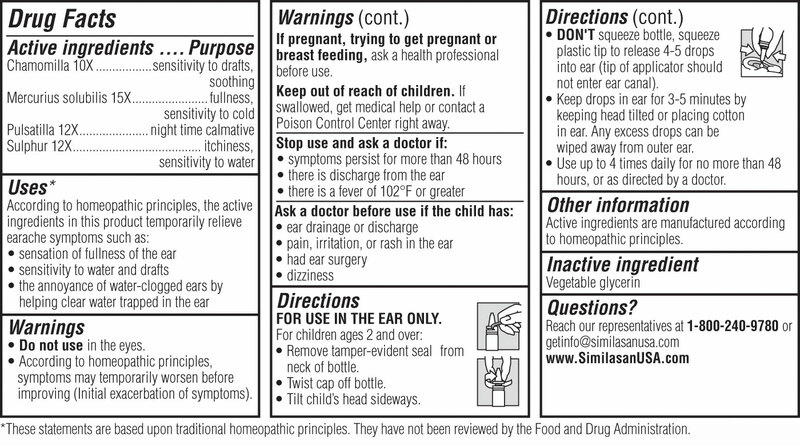 We all want our little ones to feel better when they have an earache, but many parents are concerned about the chemicals found in ear medications. Similasan Kids Earache Relief works differently, by using natural active ingredients to stimulate the body's natural defenses. Similasan products are made without harsh checmicals so you can feel good about helping your child feel better.